Here in the Blue Ridge Mountains, outdoors is King. All outdoor sports and hobbies, from fishing, hunting, camping, hiking, biking and so many others, are celebrated every day along our trails, backroads and of course our Blue Ridge Parkway. We celebrate them here at the Soap Shed too, by creating soaps to help you enjoy our region and all nature activities. 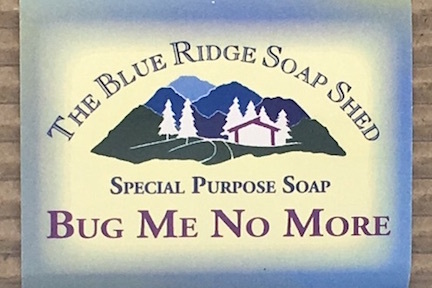 Whether you need daytime protection like bug repellent or evening protection for controlling campfire odors or soothing sunburned skin, we make a soap to help you enjoy your outdoor activities.